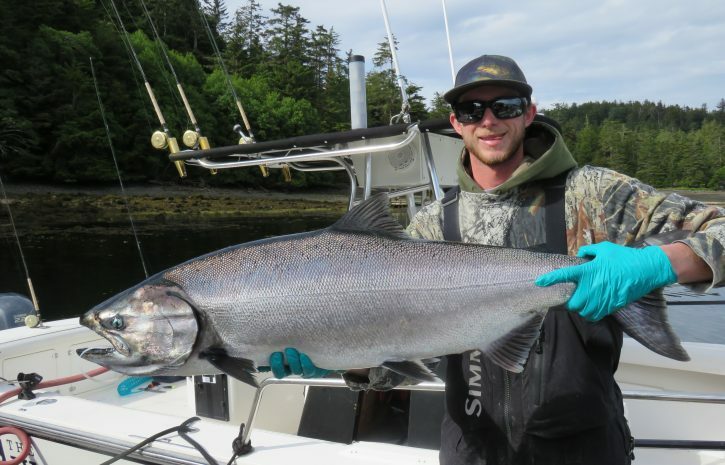 The Kings continue to show here at the Clubhouse, fishing has slowed somewhat for big Chinook though. That said we have 6 tyees for the trip, largest 37 lbs. 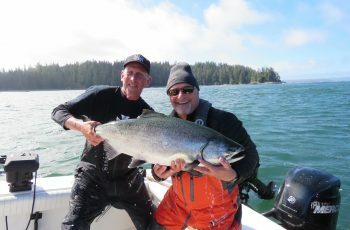 We had two tyee today at 33 lbs, but the majority of Chinook are in the teens. Korey ran out with Conman to check the night bite tonight, but notta, just a jack and a number of bigger northerns. 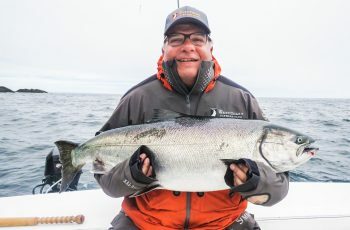 We are finding a decent early bite at Coho Point, now fishing shallow. 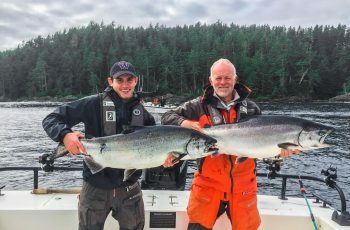 After the initial push we are then scraping a king every 45 minutes as the morning progresses. 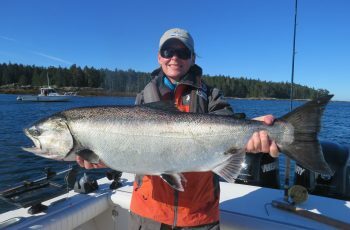 Coho of the smaller size range are abundant and at times pesky. The pinks are now scary showing full spawning colors as fall approaches. A bunch of skiffs are fishing a huge bait ball in the Nursery, an area semi discovered by Steve French in the Fred Edworthy days. This is the large kelp bed as you leave Parry Pass heading for Coho Point. Korey grabbed a 33 in this area today. It does look funny to see all the skiffs milling around in this area. For what ever reason we have always found the kings to be smaller in this area. Steve used to tub his guests out here in the early days of guiding up here. 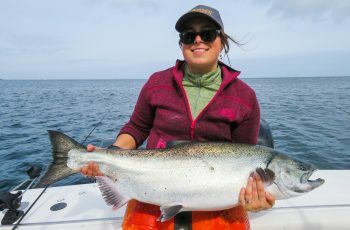 Our Fishing For Kids Tournament approaches this weekend starting Sunday. The weather looks good for Monday and Tuesday, sun for Tuesday, wow. Lets hope a run shows up with some numbers and size. Things are going to get exciting around here, and news will be passed on here daily, look out, we are in for some fun and good times.